It's the end of April and time to say Goodbye to April 2016! A memorable April it has been because this years April went down into the history books as the hottest April on record since 65 years! It was hot and humid on Koh Samui and all the other places I have been this month. Especially the humidity can get to you. We had a few drops of rain exactly once this month, yesterday morning! 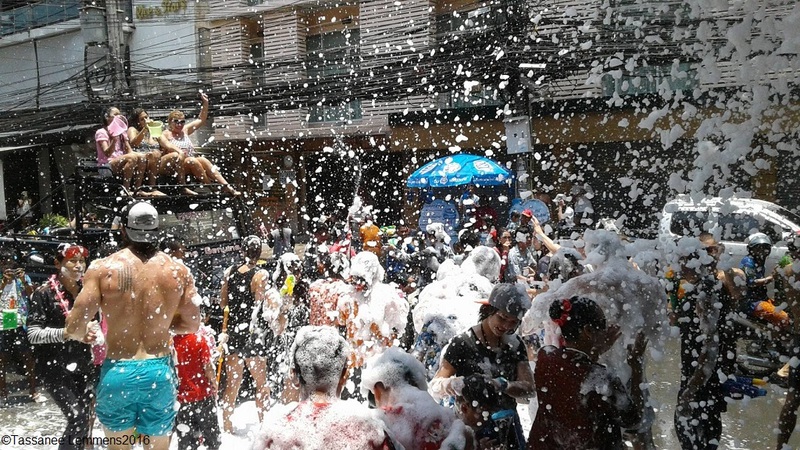 It's been a busy month for me with a very successful PADI IDC on Koh Lanta, where I also celebrated Songkran this year, for the first time ever on Koh Lanta. I also did some excellent diving on Koh Lanta! Once I got back home, it was off to Koh Tao for a PADI Course Update, almost immediately followed for a half marathon in Krabi where I placed second in my age category and 14th all over, a very good result indeed. 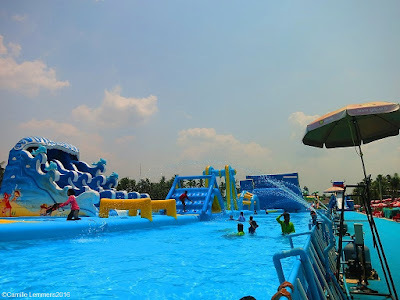 Once I got back home from this trip, we were off to Bangkok for new Dutch passports for me and two of our children and on the way back we visited the Pirates Park, a water park in Surat Thani. The travelling continues, later this morning I will be off to Krabi, to run once more a half marathon, tomorrow morning and on Monday, I will start a new PADI IDC on Phuket. It was a busy but a good month indeed! I'm already looking forward to May 2016, see you there! 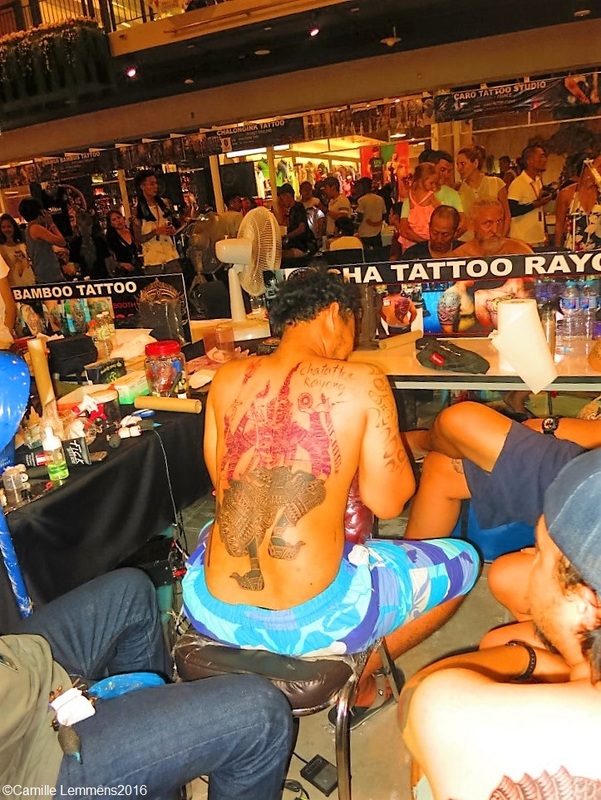 By accident we stumbled over the Samui Tattoo Convention at Central Festival yesterday and somehow this convention did not get through to my network! 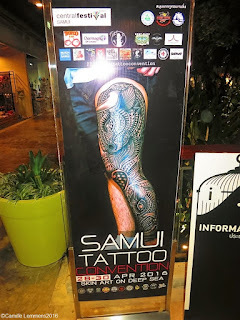 I am however very happy to have come across it yesterday and if you're interested, today is the last day of Samui Tattoo Convention at Central Festival in Chaweng. It was surprisingly busy and buzzing with energy and tattoo machines. 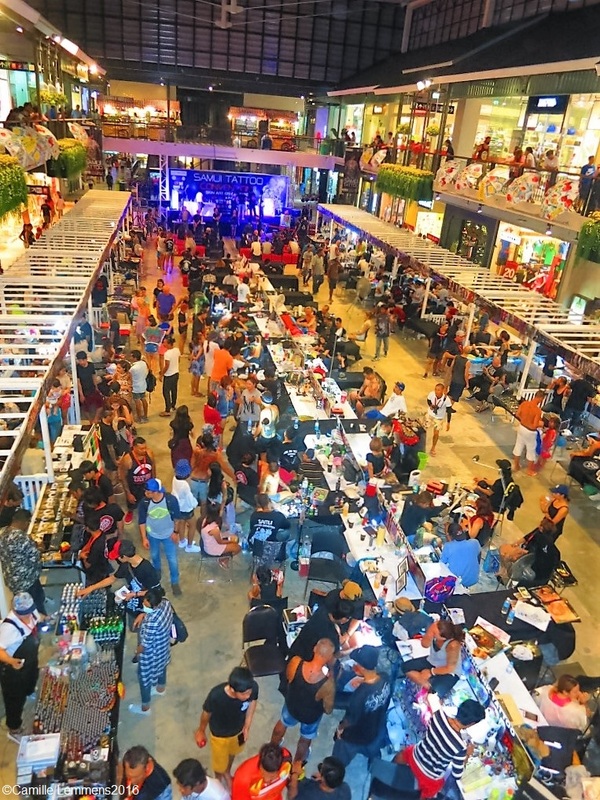 A lot of cool and also some stunning tattoos could be seen and lots of work was going on in the aisles. Lots of big pieces were being inked and it was good to see so many artists at work. 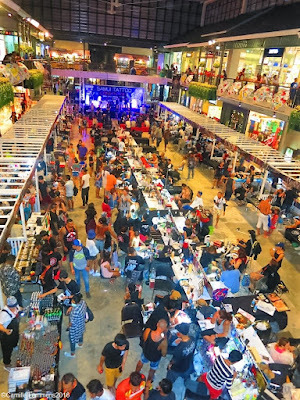 There were also lots of merchandise, like t-shirts and the like for sale as well as tattoo machines and ink and all other accessories that come with the trade. Very interesting to see, check out and observe. As pictured below, there is also the traditional, bamboo style of tattoo art available and it was interesting to see this artist at work. It's well worth checking out today, especially considering that this is the last day of the three day convention. I can only hope that next year I know well in advance of the event, so I can make more time available to check it out. I do hope you enjoy a visit today! It's good to be back on Koh Samui again, although it's just for one night. Later this morning I will be off to Krabi to run a half marathon tomorrow morning and on Monday I will start a PADI IDC on Phuket, my first one in conjunction with PADI CDC Center 'Dive Asia'. The forecast a cloudy weekend which should ease up between Monday and the end of next weekend, when supposedly another cloud heavy period moves in. The heatwave continues and this April was the hottest in 65 years! A visit to the The Pirate Park, water park in Surat Thani was in place. 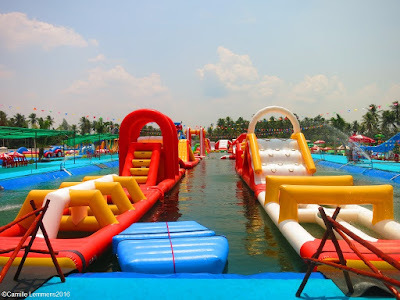 After our recent visit to Bangkok, we booked a night at Sabye D hotel in Surat Thani and spent the night, but first it was straight from the night train into the water park. The Pirate Park, water park in Surat Thani; photo opportunity! The water park is located on the 417, leading out of Surat Thani towards the airport, after the second PTT gas station on your left hand side. Can't miss it, there are big signs and it's pretty much straight on the road. There's plenty of parking space available outside but non is sun covered, your car will be steaming hot once you get back to it. The entrance fee was really good, 250,-THB for adults and 150,-THB for children under 120 cm, added up to 900.-THB for the whole family, can't beat that! Once inside, to your left are lockers, showers and bathrooms. There's almost no shade to be found, some shelters are set up with chairs inside and there's a big areas to your right at the entrance where small food stalls can be found, but only two or so were open yesterday which made excellent seating fro our group, out of the beaming sun. This is a bit of a problem, that there's almost no shade to be found. You will burn really quickly, so plenty of sun lotion on your body is required. Best is to act like the Thais and cover up your body with long sleeved shirts and at least knee length shorts. 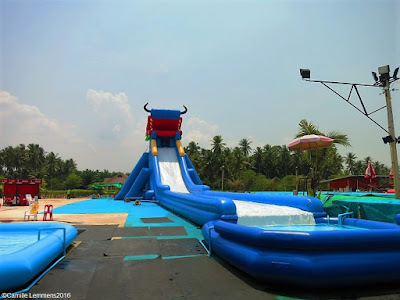 The other problem I had was that not all of the attractions were cooled down by water, which could cause burn wounds due to rubbing the plastic cover of the attractions and very hot foot soles by walking over very hot rubber. 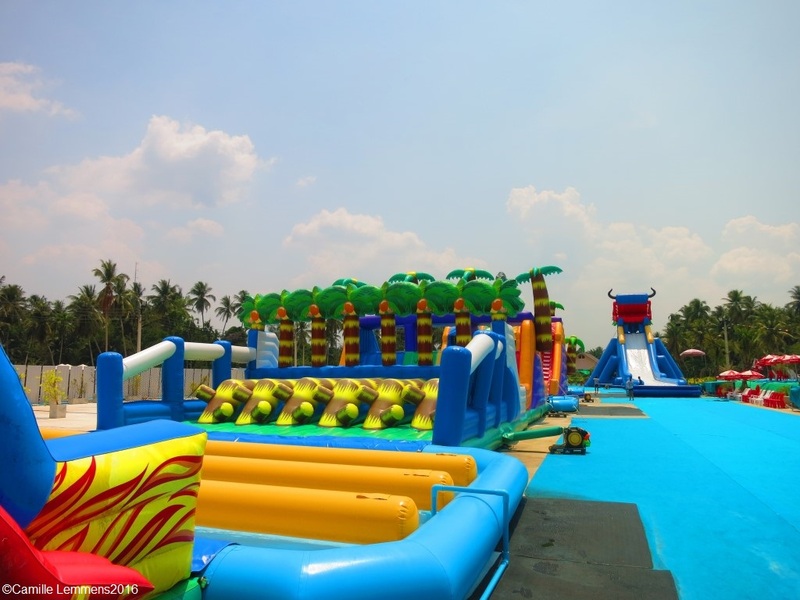 The attractions are air filled, like the bouncy castles at local fairs here in Thailand. That partly explains the cheap entrance fees, but it comes with a few downsides, as explained before. 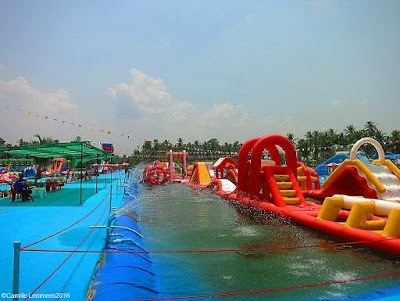 I burned my knee and some attractions were just plain uncomfortable due to the plastic or rubber being way too hot and not being cooled down by water. 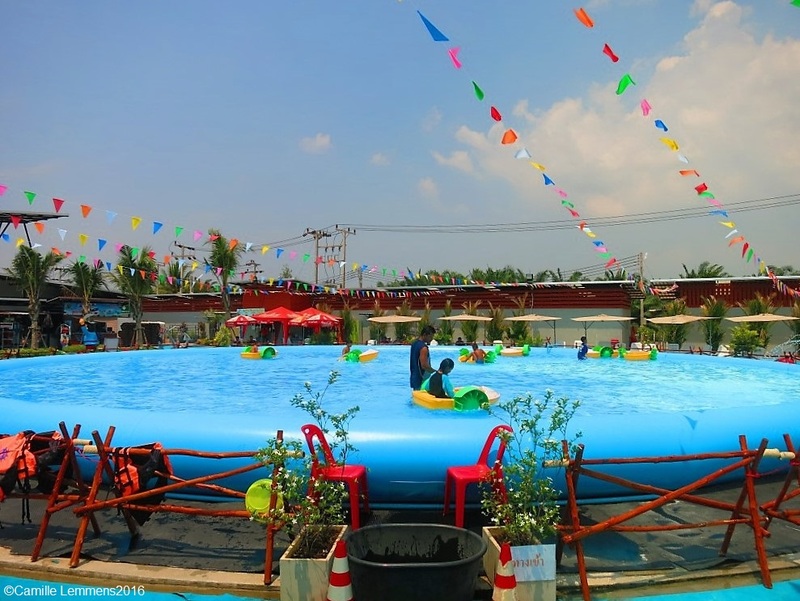 The actual attractions boil down to two big pools for children, one just to play and with some slides and one big pool with small paddle boats. The other two main attractions are two lengthy obstacle courses, one for people taller than 150cm with deep water surrounding the course and one for children with shallow water. Both courses are challenging though and difficult to complete. On both courses there seemed to be plenty of staff at hand that could help out in case of problems. 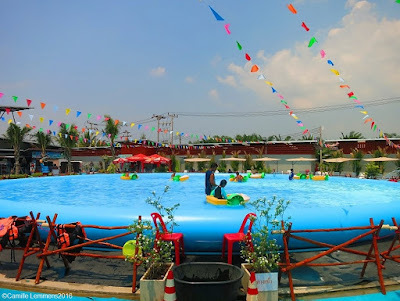 As already mentioned though, some of the rides are not cooled down enough or sprinkled by water so the plastic cover becomes steaming hot and you burn your feet easily. Some parts of the obstacle course have the same problem and it is rather very uncomfortable. Trying to complete the courses can also be very tiring, pending on how serious or relaxed your attempt to completing a course is. 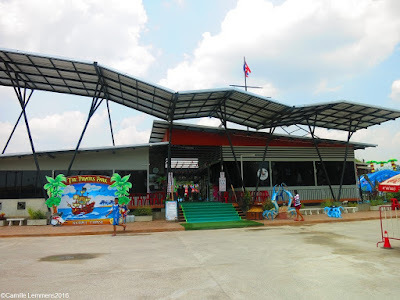 Although there was a big, roof covered area, hence shay but still hot, with typical Thai small food stands, only two out of ten stands were open. There's also an air conditioned restaurant on the premises, but we didn't check out the options available and there's a coffee shop that sells shakes and is part of the park, but is located outside of the park and you need to get a big, fat stamp at the exit so you can get back in again. This is the only place where fruit shakes are being sold, and although various tastes are on the menu, a mixed fruit shake is not an option! Very strange indeed. When we visited, a week day but during a long Thai school holiday, it was not busy at all, I wonder how busy it gets during a weekend, probably a bit busier. All in all I'm glad we visited, but I don't see us return that quickly. Too many small things that were missing that once added up, made it for a mediocre experience. The kids loved it though. 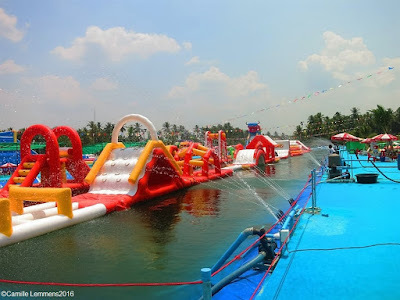 This morning we visited the Pirate Park, a water park near the center of town. A Chinese temple opposite the pier in Surat Thani, where the night boats for Koh Tao and Koh Phangan leave. During the evening there's a small street restaurant in front of the temple. Next to the pier is small night market with food/restaurants and fruit stalls. There's also one vendor that sells Thai sweets who is so popular that people queue each night in order to buy the sweets. The forecast predicts a light breeze for the next ten days with some cloud cover, some days heavier, some days lighter. It will still remain warm over the island. We're travelling towards Surat Thani where we should arrive shortly. We left Bangkok yesterday evening at 19.30, on time and we're bound to arrive very soon in Surat Thani. It's nice and sunny and we're enjoying the view from the train. I had a very good nights sleep, much better than expected! Current temp at 7am is 26C in Surat Thani. The forecast is looking good, the heavy cloud formations that were predicted for after the weekend have more or less disappeared, it may be partially cloudy at times and the warm and dry weather continues for another ten days at least. Yesterday's visit to the Dutch Embassy went well and we got all done what needed to be done. This evening we will board the night train back to Surat Thani where we should arrive early tomorrow morning. 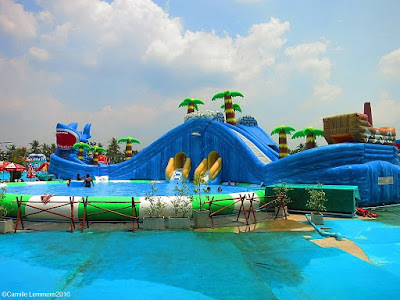 There we have a visit to the new water park scheduled, apparently the biggest water park in the South of Thailand. The forecast has changed slightly, it's still sunny up to Sunday, but the cloud cover that was previously predicted has changed for the better, so there will still be some clouds moving in late next weekend but not as many as previously predicted. By mid next week it should be fairly sunny again. We are on our way, the whole family, buy night train from the railway station in Phun Phin to Bangkok, to get new Dutch passports for myself and the two eldest children. This better work out today, since the Embassy of the Netherlands may well be closed tomorrow because of the birthday of the Dutch King. The forecast for the next ten days on Koh Samui didn't change much. Sunny until Sunday and as of Sunday clouds may move in but it should stay dry. The forecast remains stable, a couple of ore very sunny days and towards the end of the week some more clouds may move in but it should remain dry and warm. It's nice day with blue skies over Koh Samui and at 10am it's already 31C. It's a late update this morning, due to me participating in the Krabi CW-X half marathon, I placed 2nd in my age category so we needed to hang around for the ceremony and my friend Michael came in 2nd all over and first in his age category. 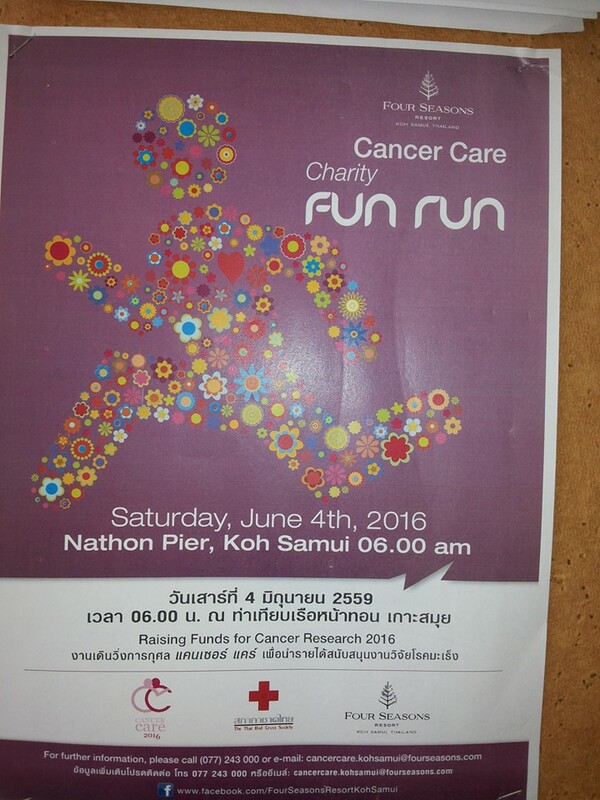 A successful day for Samui runners. In Krabi it's 33c Already with partially cloudy skies, although we're staying in Ao Nang. The forecast predicts sunny days for the next ten days, although come Friday, some clouds may move in. This morning I will travel to Ao Nang and Krabi with some friends, where I will run a half marathon tomorrow in Krabi town. Tomorrow evening I will back on the island. This will be my first visit to Krabi town and actually spending time there, rather than using the bypass road around the city in order to get to Koh Lanta. The forecast didn't change much at all, for the next ten days. Mostly sunny days and as of next weekend and the beginning of next month, possibly some more clouds in the sky. Be prepared for a hot week coming up. 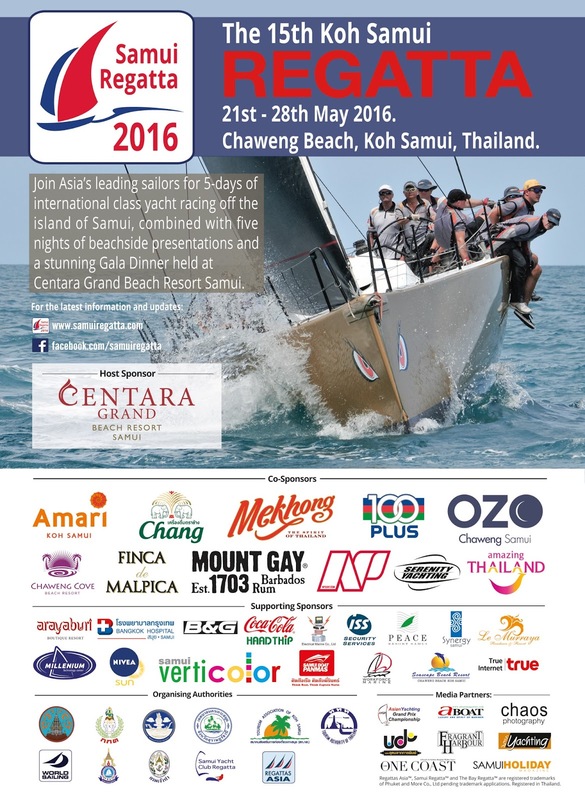 It's the time of the year when you want the wind to blow so the Samui Regatta 21 - 28 May 2016 at Chaweng Beach will be successful. 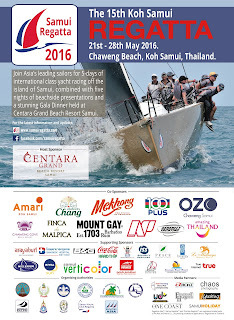 The Samui Regatta is hosted by Centara Grand Resort on Chaweng Beach and has become the 'home of the Samui Regatta'. In the meantime this event that started very small 15 years ago, has grown to an internationally acknowledged and appreciated event and has become a highlight of the Asian sailing circuit. The Samui Regatta can truly be called an international yachting event since it attracts boats from as far a field as Singapore, Malaysia, Australia and Hong Kong, as well as from all parts of Thailand, which make their way here solely to take part in this fun event. The fleet has now grown into one of the most competitive in Asia and is now placed as the final event of the prestigious Asian Yachting Grand Prix Championship. Crowning the 2015/2016 Asian Champion Skipper and Crew at the last night Awards and Gala Dinner. Held at Centara Grand Beach Resort. Please check out the official Samui Regatta website out here, you can find information ranging from race location to registration and pictures from previous years to the schedule for this year and plenty of information on social events. Yesterday saw once more a warm day with some scattered clouds. The temperature dropped to 33C although you couldn't say so, since it was hot as usual. The forecast predicts light cloud cover to sunny skies over he next ten days and next weekend, the last weekend of this month, some heavier cloud cover. No rain is in sight. It's time for the 9th Cancer Care run, Saturday 4th June 2016 in Nathon which once more will be organized by the Four Seasons Resort on Koh Samui. The traditional distances are 2km fun, 5km and 10km races. As each year, it's a charity event. 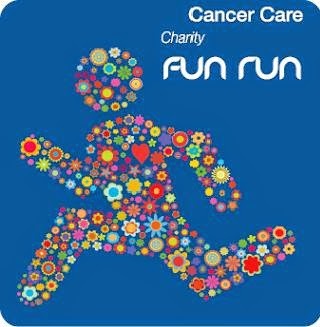 The Cancer Car run's are held world wide, although on different days, but are all inspired by Terry Fox's Marathon of Hope in 1980 in Canada! The forecast for the next ten days shows a mix of sunny, blue skies laced with some clouds and a very light breeze. It's going to stay hot and sunny for a while. 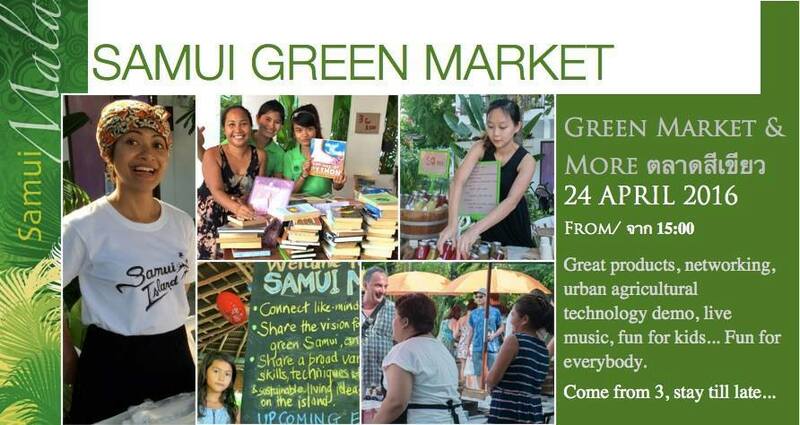 The next Samui Green Market 24th April is coming up soon, this coming Sunday. A great opportunity to find and purchase local produce and all local products. Start is at 3pm and as always now, it's at the Elisya Boutique Resort & Greenlight Cafe in Fisherman's Village. Unfortunately I can't make it, since I will be participating in Krabi in a half marathon and won't be back on the island until fairly late. I can highly recommend a visit though! The forecast keeps showing a light breeze and partially clouded skies for the next ten days. It will remain hot and humid, as can be expected during an April. The new statue of a sitting monk at Wat Bophuttharam in Bophud under yesterday's morning cloud cover is still very much under construction but starts to look really good and impressive. It's a big one! The forecast hasn't changed that much, a nice breeze is blowing and today should see blue skies. As of tomorrow leading up and over the weekend should see partially cloudy skies and after that it should be blue again. It will remain hot and should stay dry! Am back on Koh Samui again and it's good to be with the family again. The next two weeks will be very busy with lots of travelling before I head off to Phuket towards the end of the month for my next PADI IDC. The forecast predicts a light breeze most of the time with at moments cloudy skies but plenty of sunshine coming in ad hardly any rain at all is predicted for the next ten days. The forecast for the next ten days predicts some clouds and possibly some rain this coming Wednesday. It will still be hot every day and the sun will be out and about. Due to Songkran the ferries are full today and tomorrow there's only one ferry left with space for a reservation, the 7.30am one, so I will stay overnight in Surat Thani and catch the early morning ferry tomorrow morning, getting me home early in the day! The forecast is still predicting a light breeze, making it a little bit cooler if you find yourself near a beach where the wind blows inward. We may have some more clouds in the sky compared to the first half of this April month and this coming Wednesday it may rain a little bit. In a moment I will move over to Phuket for one or two nights, sorting out some business related things and than I will be on my way home again, at last! The forecast for Koh Samui hasn't changed too much, as of tomorrow we should have cloudy but dry skies until mid next week. It's however not a guarantee that it will cool down! This Songkran 2016 was the first time I spent on Koh Lanta during this celebration day. As a matter of fact, I rarely saw anything of the Koh Lanta Songkran festivities, since my PADI IDC candidates from the April IDC on Koh Lanta started their PADI IE yesterday and it was all classroom and confined work, pretty much all day long and we moved from the classroom up the road to the pool, which was just around a kilometer. It all paid off for the candidates though, since they all passed their PADI IE today. My wife and our children went to Chaweng though, with some friends and their kids and they had a ball. The party got started around 2pm and the foam party that was last year away from the road, had now moved to the road. After more than 6 hours in Chaweng, they finally made it back home, exhausted but happy from the water battles they participated in. Our youngest, just over two and a half years old, enjoyed it as well, although she had a nap in-between all the action. Although alcohol is not allowed to be sold, at least not in the open, it was widely available and as far as I know, no fights or other disturbing actions took place on our island. On Koh Lanta the action and fun was a lot more isolated along the main road, with some points buzzing with action but long quiet and dry stretches in-between the next water battle. Good fun was had by all though. 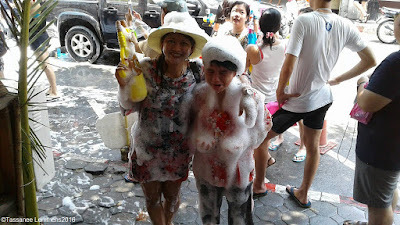 This was the third time I celebrated Songkran outside of Koh Samui, twice before I was in Khao Lak during Songkran.